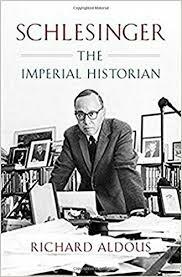 In The New York Times Michael Kazin reviews Richard Aldous' Schlesinger: The Imperial Historian. Aldous also discusses the biography on the paper's book review podcast. In The New Yorker is a review of Stephen Kotkin's Stalin: Waiting for Hitler, 1929-1941. James Scott's Against the Grain: A Deep History of the Earliest States is reviewed in the New Republic. At NPR is a review of Franklin D. Roosevelt: A Political Life by Robert Dallek. The Times Literary Supplement has published a review of Simon Schama's The Story of the Jews, Volume Two: Belonging: 1492-1900. There are several interviews of interest at the New Books Network. 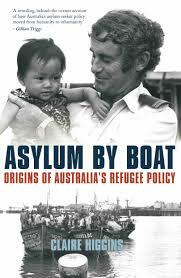 Claire Higgins speaks about her Asylum by Boat: Origins of Australia's Refugee Policy. Andrew Lewis is interviewed about his The Rights Turn in Conservative Christian Politics: How Abortion Transformed the Culture Wars. Sandra Sperino and Suja A. Thomas discuss their Unequal: How American Courts Undermine Discrimination Law.